On this KIA-SMB Rookie Draft Controversy: Who wants the No.1 pick? Who wants the No.1 pick? By the time you read this, the annual Philippine Basketball Association Rookie Draft is history (this column is written on a Sunday morning because of deadlines). It gives newbies hope in fulfilling their pro basketball dreams while it causes jitters among fringe players who conference after conference look to land a roster spot. 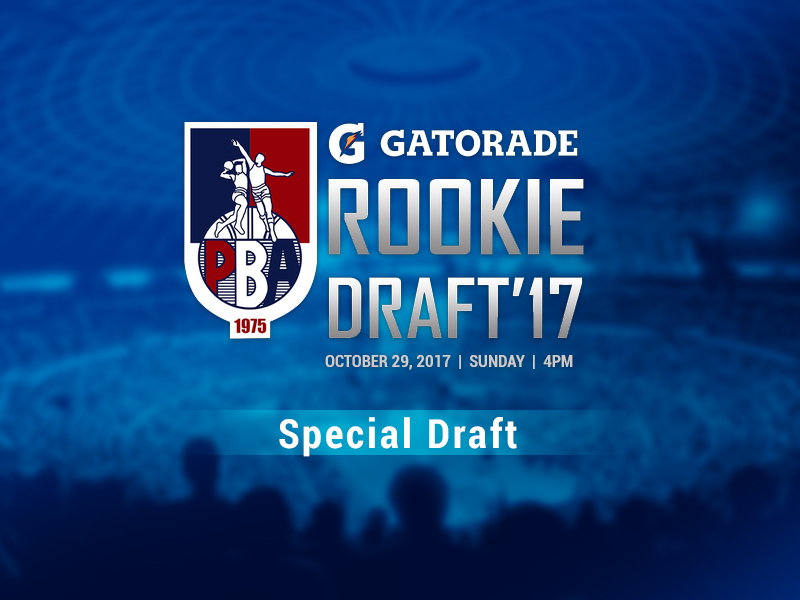 Now in the 32- year history of the PBA, the big man – power forward or center – has more oft than not, been the top pick of the rookie draft. Twenty-three times to be exact. Like its NBA counterpart, practically almost all top picks play for the squad that drafted them. That changed in 1998 when Shell drafted Danny Ildefonso then sent him to San Miguel for Noy Castillo. Imagine what it would have been like had Danny paired with Benjie Paras on that Shell team? As it happened, Shell faltered and eventually left the league while Ildefonso led SMB to a bunch of titles and was named one of the league’s greatest players of all time. There next time controversy reared its head was 11 years later when I broke the news that Japeth Aguilar did not want to suit up for Burger King as he preferred to stay with the national team! He did sign with Burger King, played one game was it? Then was traded away to TNT then released to the national team. In 2010, Air21 selected Nonoy Baclao but traded him away after one conference! Yet after a season and half, he was brought back by Air21! Then in 2015 Rookie Draft, BlackWater traded its spot to TNT which in turn selected Moala Tautuaa. In that same draft, Mahindra (as KIA was known then) selected Troy Rosario but sent him also to TNT. In all these instances, I had to wonder what is going on? Don’t these teams want to win? With KIA, that’s two consecutive years they are trading away their top pick (not necessarily the number one selection). 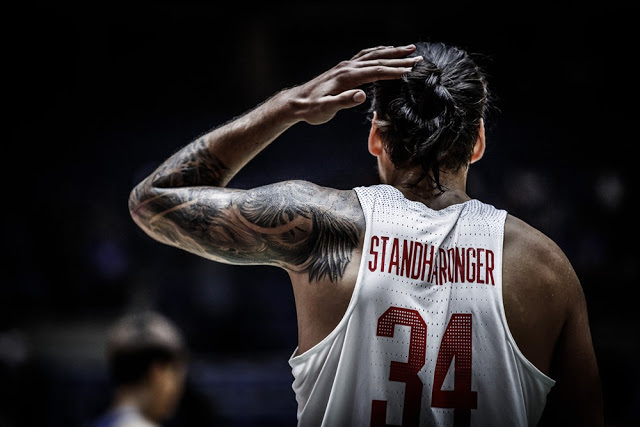 I do not for one minute buy their reasoning -- assuming that Christian Standhardinger is the top pick – that he does not fit their so-called unconventional system. Then if you don’t want Standhardinger, then get Kiefer Ravena. Or someone in the draft that fits what they want to do. As it is, they are trading away the pick. It doesn’t make sense. If you look at those draft picks we pointed out, none of the players traded for the number one pick lasted with their new teams. Castillo did well for Shell but became better when he moved to Purefoods. A cursory look at the NBA’s number one overall picks, only three times in the 70-year history of the league, has the consensus pick been traded. The first was in 1986 when the Philadelphia 76ers traded the number one overall pick (which turned out to be Brad Daugherty) to Cleveland for veteran Roy Hinson, Jeff Ruland, Cliff Robinson, and cash. It could have been acceptable however, the Sixers offloaded the popular Moses Malone to Washington in the same season. Daugherty could have learned playing behind Malone and alongside Charles Barkley. As it is, he turned the Cavs into a power while Philly would not be the same until the 1993 when they acquired Rick Mahorn. Hinson, Ruland, and Robinson were serviceable at best, but injuries eventually hurt them and they didn’t last in the City of Brotherly Love for more than three years. In 1993, the consensus number one overall selection, Chris Webber, was sent by the Orlando Magic, to Golden State for Anfernee Hardaway. It seemed to work for the Magic who had Shaquille O’Neal at that time plus veteran power forward Horace Grant. Hardaway balanced the line-up. It worked for three years before the Magic imploded. C-Webb left Golden State after one year for Washington. In 2014, the Cavaliers sent Andrew Wiggins to Minnesota for power forward Kevin Love. We know how that turned out to be. I see nothing wrong with trading draft picks, even top picks. However, you trade them to make your team better. It cannot be anything less than that or people will smell something rotten. When making selections, you get parts to add to fill gaps or you simply get the best player. That conundrum reared its head in the 1985 NBA Draft when the Portland Trailblazers selected Sam Bowie and not Michael Jordan. What many people do not know or maybe conveniently forget, Portland needed help upfront. Bowie fit the bill. Jordan was an exciting high-flyer and had a suspect jumpshot. The Trailblazers already selected their own high-flyer with a suspect jumper in Clyde Drexler a year earlier. Of course, it can only be said in hindsight it was a mistake. But was it? Portland with Drexler went to two NBA Finals. Jordan of course, won six and is generally acclaimed at the Greatest of All Time. But he went to the right team with the right situation. We aren’t sure he would have been afforded that chance with Portland. With that in mind, I am not sure how Jay-R Reyes, Ronald Tubid, and Rashawn McCarthy make KIA better this year. I think it wouldn’t have been as controversial if SMB added a regular rotation player to the trade list. In the PBA, you win by getting the best players. If you look at Barangay’s recent championship, they overwhelmed Meralco by their sheer size and talent – add their superb outside shooting in Game Seven – with Greg Slaughter, Japeth Aguilar, Joe Devance, and Justin Brownlee. The Bolts only had one stud inside and that was Allen Durham. Sure, there was Ranidel De Ocampo but he got injured. Now should SMB select Standhardinger, that gives them two frontcourt beasts. June Mar Fajardo will see fewer double teams and get more rest. It will allow Marcio Lassiter and gunner like Alex Cabagnot and Von Pessumal to flourish. But man... along with Arwind Santos... what a frontline! But that’s all speculation at this point. The true worth of this trade will be known by the end of next season. In the meantime, the league has to bear all these controversies and actuations. It’s all part of the deal. This should be called the alpha dog draft. Look at the studs – Christian Standhardinger, Kiefer Ravena, and Jeron Teng. There’s a lot. Here are our picks for the first round of the annual PBA Rookie Draft that will be held this Sunday at the Robinson’s Malate. Yes, it seems like a no-brainer that Fil-German Christian Standhardinger will be selected as the number one overall pick by Kia Picanto. It seems like a travesty that they will even trade him. If you cannot compete then get out. They lack depth at the center position. Outside their import, they have Jason Ballesteros and Jason Deutchman patrolling that position. That is not going to strike fear in the hearts of the opposition. If you want to compete in the PBA, you must be able to match up with the frontlines of San Miguel Beer and Barangay Ginebra that have won the conference titles in the past two years. Look at that front line – June Mar Fajardo and Arwind Santos for SMB, and Greg Slaughter, Japeth Aguilar, and Joe Devance for Barangay Ginebra. You want to compete? You must have some of the best players at their respective positions. What I like about Standhardinger is he does not need a play called for him to be effective. He is like a 6’8 version of Freddie Abuda except he has an outside shot. Let’s clarify that – from inside the paint, medium range, and long range. Furthermore, he runs the break and finishes it! He scavenges for loose balls and rebounds. He passes the ball. Defends. And is a team player. What is not to like? But the question at this point is – does Kia even want him on their team? Having watched Kiefer play for the past 13 years (since he first donned the Ateneo jersey and all the way to his national team stints), as impossible as it sounds, he has gotten better. Yeah, I know, right? He’s already darn good. How did that happen? When he got cut from Gilas right before the Olympic Qualifying tournament. He has elevated his game. Watching him the FIBA 3x3 World Championships, he made the Philippine team go. He was the only one playing consistently on both ends of the court. He did the same during his national team stints. You need winners on your squad if you want to win and Kiefer is the ultimate winner having won five UAAP titles (in both the juniors and seniors divisions), four Sea Games gold medals. If you look at Yeng Guiao’s Road Warriors – he has some winners in Alex Mallari, Larry Fonacier, JR Quinahan, Juami Tiongson, Rabeh Al-Hussaini, Asi Taulava, and Alas. So he’s building the championship quotient of his team. Now Kief, he can play an uptempo game or a half court set. He will make his teammates better. Plus, he is clutch. I think Kiefer’s presence in BNLEX will make Kevin alas a better player. Meet the new Big J. The new barreling Big J! Jeron Teng nails threes. Drives even against tall players. While playing for Flying V in a tune-up match against his former college team, La Salle, he went straight at Ben Mbala. Who said Jeron was afraid to drive into the lane never saw him play. I know he was/is good. You do not score a 100-plus points in high school and not be good. You do not win a couple of UAAP championships and not be good. It was only when he played for Flying V in the past D-League conference that I saw how good Teng truly is. On any given day, he made his team better and gave the Thunder a chance to win. It sure helped that he had another couple of players whose sheer will to win towed them to the semi-finals (Eric Salamat and Thomas Torres). His will to win is incredible. He plays in pain and is a leader. Plus, he is clutch. He can be a point forward. If you never saw him play for Xavier then know that he played the point guard position for the Golden Stallions! Point guard! Then he shifted to the two and three spots in college. Teng is a physical specimen. He will give BlackWater some depth in a team that has the rapidly improving JP Erram, Mac Belo, and Allein Maliksi. Studs in the three front court positions. Hey, how’d he get here? Lervin could be this draft’s version of JP Erram. Flores’ first year with Arellano University two seasons ago, he was a stud. One who gamely battled the best centers in the land—Africans included. He showed no fear. He even dunked once on Ben Mbala. This season, he seemed to have been off. But so were the Chiefs. Phoenix needs a big man. They have a lot of scorers but they need someone who will make the top flight centers in the league work harder. Lervin can rebound, score inside, has an array of moves in and around the basket. He is a rim protector too. You just need to make sure his head is screwed on right. With a coach like Louie Alas, he will learn the finer points of defense. And of course, will have his head screwed on right. When drafting for this team, the question you should answer if how do you play off Stanley Pringle and Terrence Romeo? Especially the latter who demands the ball. They’ve got a couple of guys who do not need the ball to be effective in Sean Anthony and Bradwyn Guinto. Perkins though needs the rock to be effective. He can post up, shoot from medium range, and even pass the ball. My concern though is he is too small to play the four spot since Jason stands at 6’3” (my thought is how do you match up against the Arwind Santoses, Japeth Aguilars, and Marc Pingrises?). He was called the “Hefty Lefty” while playing for La Salle. In the pros, he might have to reinvent himself as the “Crafty Lefty” as he slides down from the four to the three. This workhorse of a team could use another dynamite workhorse two-way player. Rey will take over Dondon Hontiveros’ shooting slot. What makes him a tantalizing pick is he rebounds well, attacks the basket (Calvin Abueva and Vic Manuel will love playing alongside this tough guy), and finds open teammates. Plus, he’s got an excellent attitude. They are going to need everyone to work doubly hard because their championship window shut close last season. This team has the centers and forwards, the scoring forwards and two guards. What they need is a point guard who understands playing with a bunch of alpha males. That’s Tommy. He played alongside Jeron Teng, Jason Perkins, and Ben Mbala in La Salle. With Flying V, he deferred once more to Teng, Eric Salamat, and Gab Banal. But his contributions were tremendous. If there is one thing I like it is his basketball IQ and will to win. Don’t be worried about his height, Tommy always plays bigger than that. Will add a lot of ceiling and post play to this team as Marc Pingris winds down his splendid career. Excellent attitude as well. Doesn’t need plays called for him too. Perfect for the dribble drive offense of TNT and Nash Racela. Plays at an incredibly fast-pace that Jayson Castro will love. Can slash inside and shoot on a dime. Plays D too. The Beermen know that they need relief for June Mar Fajardo, hence, their attempt to trade for Standhardinger. Unfortunately, the draft is lean for these types of players. Should the proposed trade with KIA be vetoed, they could get Kevin Gabayni. He could help although I find him slow and somewhat has an attitude. They might want to get a do-it-all player in the 6’4” Sidney Onwubere who rebounds, shoots, passes, and defends. His game has really expanded in the past two years in college. With a talent-laden SMB team, how do you break in someone like Sid? You have to play him and give him a chance to get his confidence going. If he does, watch out. The Bolts need to get taller and more consistent inside. Their success in the past two seasons has been due to imports filling that glaring vacancy inside. They will miss out on the Standhardingers and Joses, but Arvie Bringas isn’t so bad. He can post-up, rebound, and score. If we go by his college game, he was a smart player too. Now, how he has changed his game since then remains to be seen. It helps that his older brother Mark is with the Bolts already. Made the most out of his recent stint on the international stage especially in the FIBA Asia Champions Cup. Can play the off guard position with some of Ginebras older players probably on the way out. Along with Kevin Ferrer, Jett will bust open that zone for their talented bigs. He will find the spaces they create open to his liking.